If you are looking for that perfect but simple dessert to serve with coffee after dinner, then look no further. These brown sugar shortbread cookies satisfy that little something sweet you crave when you have no room left for a big dessert. The brown sugar gives these shortbread’s a richer flavor than traditional shortbread recipes do and the added toffee just kicks it up another couple of notches . 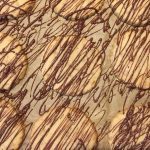 Plan on making plenty of these shortbread cookies. I can assure you, people will not stop at one. There are a few things I want to go over with you before you start the recipe. You will notice right off that the recipe calls for corn starch. You may think this is odd or that it will give the cookies a weird flavor. Please trust me on this. The cookies are absolutely delicious and you will not taste the corn starch. Corn starch is the secret ingredient traditionally used by pastry chefs to make the most delicate and mouth-watering shortbread. Give it a try and you will never look back. Also know up front, the dough will need to be refrigerated for about 20 minutes and then rolled out for cutting before baking. Do not let this extra step stop you from making these cookies. 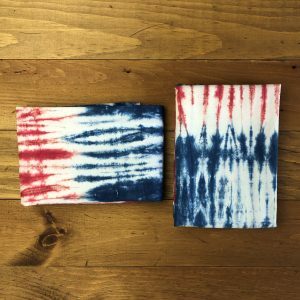 It is easy and added only 10 minutes of active time when I last made them. 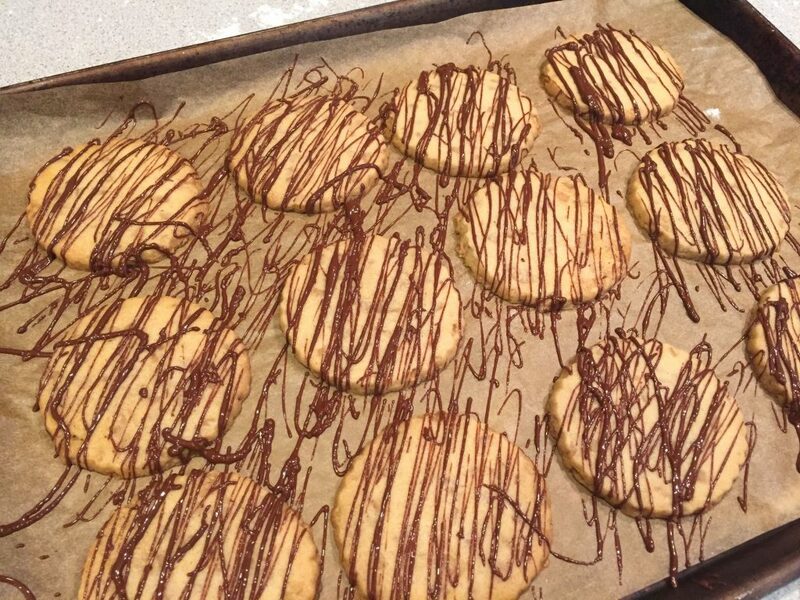 Lastly, you may have noticed that the photo shows chocolate drizzled over the short bread cookies. This is totally optional. They taste great with or without the chocolate. It’s just that I am a bit of a chocoholic and find myself adding chocolate to things whether it needs it or not. (I admit that I have problem). So the choice is yours but I must say that in my opinion, the chocolate does put these cookies over the top. Preheat the oven to 325 F. degrees with a rack centered in the middle of the oven. Using a mixer with the paddle attachment or an electric hand mixer, beat the butter for 2 minutes until light and fluffy. Add the brown sugar and beat for 3 more minutes. Take the time to stop and scrape down the sides when needed. Add the egg yolk and beat at low-speed until incorporated. Sift together the flour, cornstarch, baking powder and the salt. Add the dry ingredients in thirds, each time mixing in at low-speed until incorporated. Do not over mix. Add in the chopped toffee and mix on low for about 20 seconds or just until the toffee looks evenly distributed. 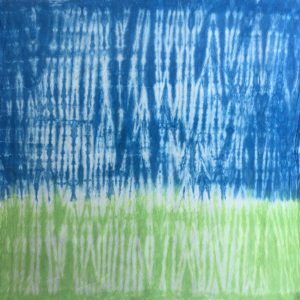 Scoop out the dough onto a sheet of plastic wrap and make a loose ball. Bring up the sides and cover with the wrap. Squish the dough down to make a disk about one inch thick. Refrigerate for 20 to 30 minutes in order to firm up the dough for rolling out. 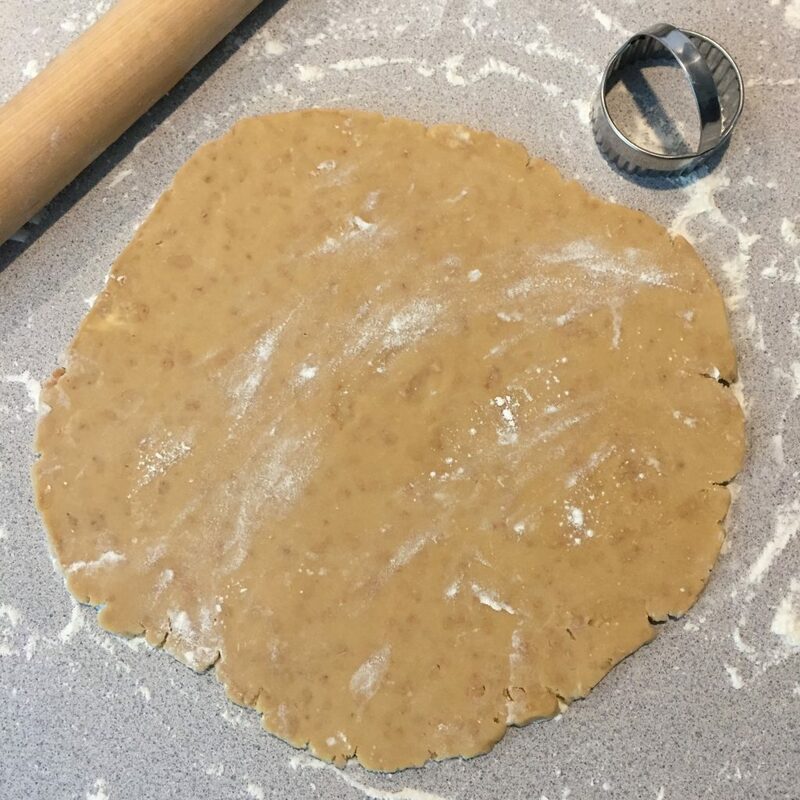 If you decide to roll out the dough later in the day, simply leave it out on the counter for a bit so it can warm up and be soft enough for rolling. Sprinkle a little flour on your work surface. Roll out the dough until it is about 1/4 inch in thickness. You may want to measure this with a ruler. With a cookie or biscuit cutter, cut out your cookies and place on a sheet pan lined with parchment paper about 2 inches a part. You can also simply cut out shapes with a sharp knife. Gather up the leftover scraps of dough and roll out again to cut more cookies. Try not to overwork the dough. Refrigerate for 5 minutes or so if the cookie dough gets too warm. 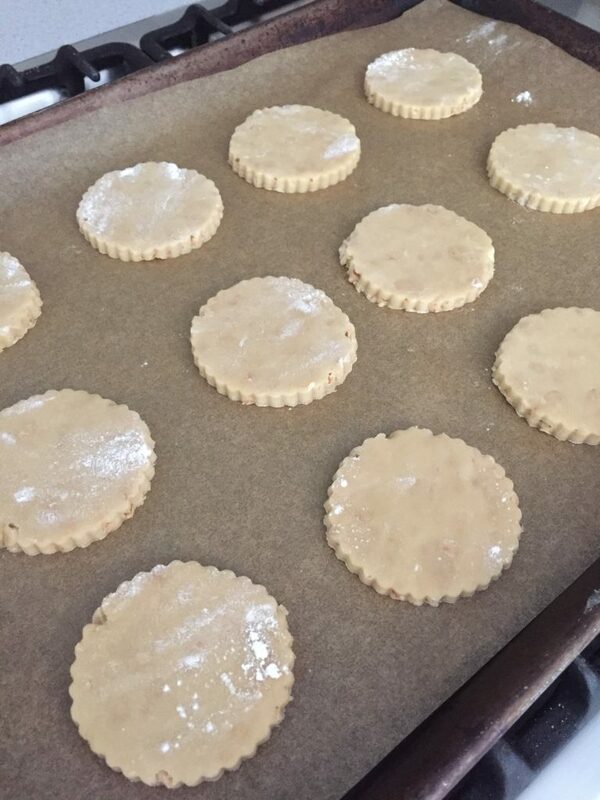 Bake the shortbread cookies at 325 degrees F. for 15 to 18 minutes. The bottoms will look lightly browned. Let them cool on the sheet pan for 10 minutes and then transfer them to a cooling rack. They are good to go right now but if you want to add a little chocolate proceed to the next step. Place the chocolate into a microwave safe bowl. Microwave for 60 seconds stopping every 30 seconds to stir the chocolate. Continue to microwave if needed, stopping every 15 seconds and stirring until all the chocolate is melted and smooth. Stir the shortening into the hot chocolate a teaspoon at a time until you have the right consistency. You are looking for the chocolate to be thin enough to be drizzled. 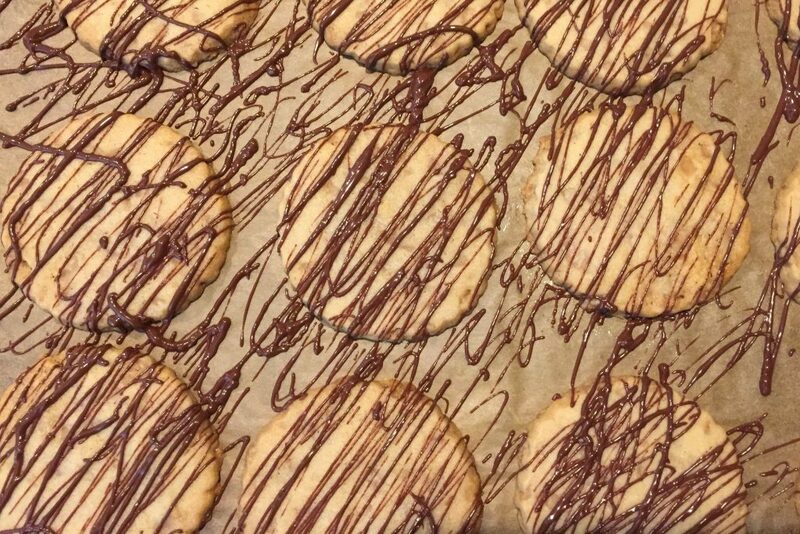 Dip a fork into the melted chocolate and move it quickly back and forth over the shortbread cookies. Let the chocolate set for about an hour or in the refrigerator for 15 minutes. Enjoy with coffee, tea or a nice glass of cold milk.